Like Olaf. we are really big fans of Summer. But the Florida heat can be too much to handle. If you are looking to stay cool…fashionably cool check out my Summer Favorites! Dole Whip Minnie Ears from Bibbidi Bobbidi Loot ($28): Just as delicious as they are sweet! Show off your favorite Disney treat with these adorable ears. Made of yellow and white yarn, a light weight headband for children of all ages (including the young at heart!) and adorned with a yellow bow topped with a pineapple (of course!) Sarah is an artisan with a great big Disney heart. She originally designed her ears to celebrate the best part of being a Disney Princess – Princess Hair! They are styled to look like swirled braided hair formed into Mouse Ears showing off your favorite Princess, Character, or Treat! Rapunzel Choker from Clarke’s Geek Bowtique ($8.01): Your princess will find happiness where the sun shines in this beautiful choker by Clarke’s Geek Bowtique. Inspired by our favorite Tangled princess it is designed with soft purple velvet and embellished with a delicate sun burst charm. Vikki, shop owner and designer is an aerial circus performer by day and by night you will find her delicately handcrafting jewelry and hair accessories for you! 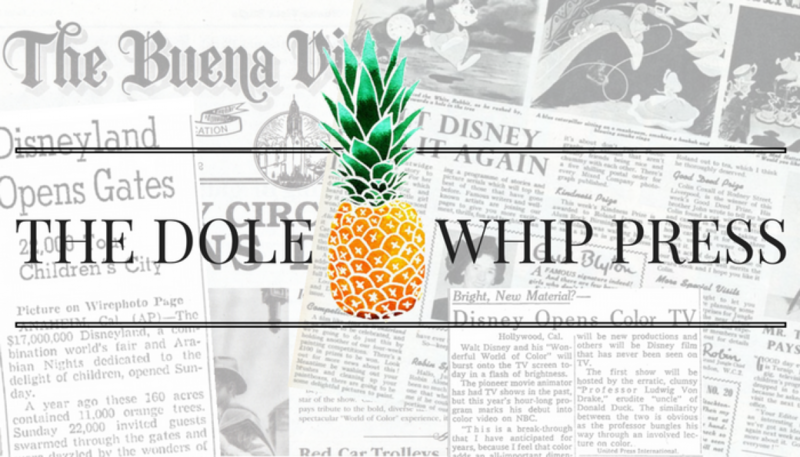 Another favorite from her shop is the Dole Whip Choker. Mickey Mouse Ice Cream Tee from Planet Orlando ($17.99) I scream, You Scream, We all scream for Mickey Ice Cream! Oh my Disney! With three scoops of ice cream and topped with the most magical mouse ears ever; this tee is naturally sweet! Also available in Donald Duck and Tangled flavors! Perfect for the whole family. We also love the Star Wars Mickey tee for boys! Animal Charm Bath Bomb from Georgia Charms ($5.25) Looking for a little R & R in between Disney Play Days? Just drop a Georgia Charms Bath Bomb into your warm bath water and enjoy! These bath bombs are full of luxurious fizz that give off lots of beautiful color, calming aromas, and a pinch of biodegradable sparkle. Each bath bomb comes with a surprise charm. Pink Lollipop Minnie Mouse Ears from Shiny Sky Rainbows ($34.99) Oh the good ship Lollipop; It’s a sweet trip to the Candy Shop. These ears are sugary sweet and are perfect for strolling along Main Street USA. 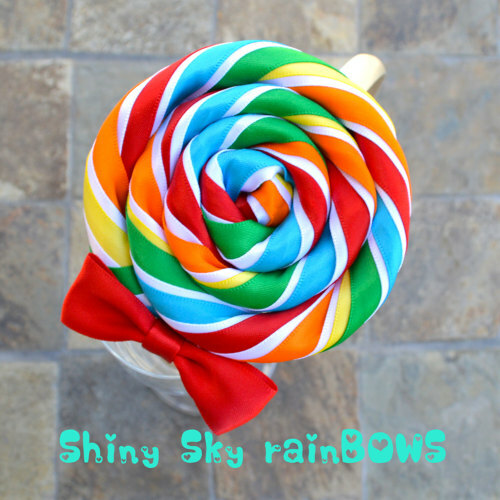 Made with a hot pink and white satin ribbon swirled together they replicate the iconic swirl pops found in Magic Kingdom’s Confectionery. Planning a future visit to the happiest place on earth? Express yourself in Disney Style with Dylan’s Designs! This magical tee shop on Etsy offers Expressive word tee’s for the entire family! This husband and wife team make the most adorable Disney shirts that will surely enhance your interaction with the characters and cast members throughout Disney World. Danielle, of Dylan’s Designs sent us some of her most popular tee’s to have fun in and I swear they came with an extra pinch of pixie dust, because we had a blast wearing them around the parks! We quickly learned the characters just love reading what the shirt says at the meet and greet’s and interacted accordingly, making our experience priceless! The hat did not come signed. Donald signed it when we found him…but that comes much later! We set off for an adventure through Epcot to find our amigo, Donald Duck. This was the best adventure by far! As we journeyed through Future World and into the World Showcase we met up with several of our magical friends. Pictured above is my son, Noah looking super cool in the Donald is my Fave tee from Dylan’s Designs “Fave” series. The “Fave” series includes Hook, Pluto, Evil Queen, Stitch, and Rapunzel just to name a few. More Disney Hero’s and Villains are available! As you can see the response was well received. Goofy and Pluto (not pictured) were not thrilled that they came at a close second to Donald. Goofy was insistent that he was Noah’s #1! Daisy totally agreed and got all giddy making the shape of a heart in the air. (check out the cute video on Instagram of this interaction.) Donald was so excited and wanted to keep Noah. In fact, after the picture taking Donald hugged Noah and waved goodbye to me. He would not let Noah go. I wish I had this on video, but it all happened so fast. Noah had “the best day ever” all because of this t-shirt! But the fun didn’t stop there! We had many more reasons to visit the parks and here are just a few pictures capturing our summer time magic! Just a lil note about the quality of the shirts: these tee’s are soft and not form fitting. The design is printed directly onto the tee, so no worries about peeling, cracking or fading (this is a plus!) Recommended shirt is turned inside out for washing with like colors and in cool water. Add a lil magic to your Disney visit and fly on over to Dylan’s Designs to get your hands on these awesome tee’s and snag a few from their holiday collection!